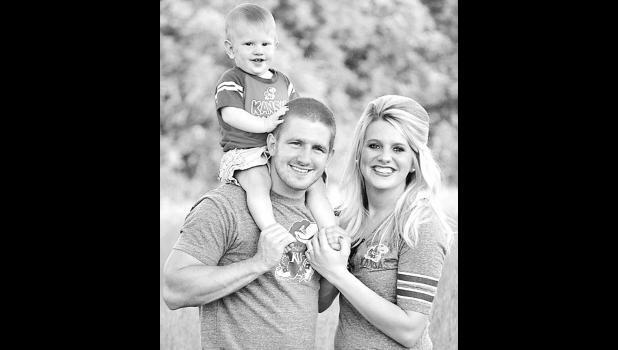 Morgan Eck and Kaleb Smith, along with their son, Gatlin, are proud to announce their upcoming wedding. Morgan is the daughter of Ken and Lori Eck of Mayetta, and Kaleb is the son of Chris and Tracy Mercer of Holton and Danny Smith. The bride-to-be graduated from Royal Valley High School in 2009 and is currently employed at Lifetime Eye Care in Holton. The future groom graduated from Holton High School in 2009 and attended Washburn University and is currently attending Kansas City Kansas Community College studying mortuary science. He is currently employed with his family business, Mercer Funeral Home in Holton. The couple currently resides in Holton.